With the recent release of new Kindle tablets, there are many questions as to whether or not you should join the craze or not. 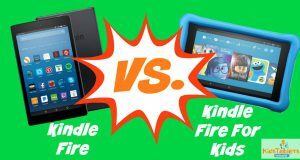 Which Kindle Fire is best? 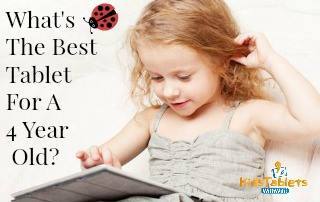 Let’s take a look at the Kindle Fire HD vs Kindle Fire HDX and see which tablet is best for you. My first question was, what does the ‘X’ in the Kindle Fire HDX offer over the Kindle Fire HD? The “X” means more pixel power than the Kindle Fire HD. Both of these tablets are designed for adults, but can be used for children just as easily. They each have access to Internet where they can stream movies or download apps for anyone. The devices are both equipped with parental control options to ease the minds of guardians. Both offer slim body styles but can be put in cases purchased separately that are intended for young hands. Both devices have rechargeable batteries that can be plugged in to a wall outlet. The HDX runs on the same battery power as many smart phones and boasts a charge of about 11 hours of mixed use. The HD tablet offers a charge hold of 10 hours with the same use. Of course, charge lengths differ depending on how much your child is playing with the device. The HDX is 13% lighter than the HD and offers more angles that leads to a better hold by users. When in children’s hands, however, both products would likely be in cases. Each of the two devices comes with one year limited warranties. The HDX model has a new feature called “Mayday Support” where you can get help from a video streamed Amazon representative 24/7. Each device is an Amazon product that has access to the same apps, reading sources, and books. The Kindle Fire HD begins with a storage capacity of 8GB and maxes out when its contents reach 16GB. The HDX model begins at 16GB but also come in 32GB or 64GB models. There is a price difference between the storage spaces. If you want this to be an educational tool for your child with slightly limited space, stick to a smaller gigabyte number to keep the price lower. If storage is necessary for all the apps, books, and movies you plan to download, then by all means, purchase a tablet with larger amounts of memory space. The HDX comes in two sizes (7 and 8.9 inches) and boasts a pixel display of 32ppi on the 7 inch and 339 on the larger screen. This means that the 8.9 offers the best resolution of any tablets on the market today. The HD has the same size options, but much less resolution. The 7-inch screen has 216 ppi and the 8.9-inch has 254 ppi and ultimately shows less detail than its competitor. Of course this is the major question everyone wants to know. There is a $90 price difference between the two. The question is: do you want a thinner tablet with a clearer display and video chat capabilities? If these are not important to you than the HD tablet set at $139 is the way to go. If you are interested in the functions of the HDX your price will be around $229. While the Kindle Fire HDX outperforms the Kindle Fire HD overall, the question remains as to whether or not the investment is worth it to you. If you’re buying this tablet specifically for your child, then I would definitely go with the Kindle Fire HD. If you’re wanting a full multimedia tablet for the entire family, then the HDX is most likely going to be the best choice for you. Hopefully this post has helped to clear up some of the confusion that is surrounding these two tablets. Do you own either of these tablets, or do you plan to purchase them in the future? Please take a moment and leave your thoughts, comments, and questions below and as always thanks for taking the time to read the post!